New Post over on the new site! Hey all! I will be posting exclusively on our new site, www.ourwaldobungie.com from now on. Head on over there to check out the new site and be sure to update your RSS feeds/subscription platforms/etc. 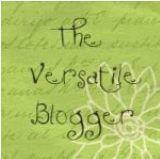 Oh, and to my fellow bloggers – please update your blogroll to reflect the new site! Thanks! « The New Site is Up and Running!